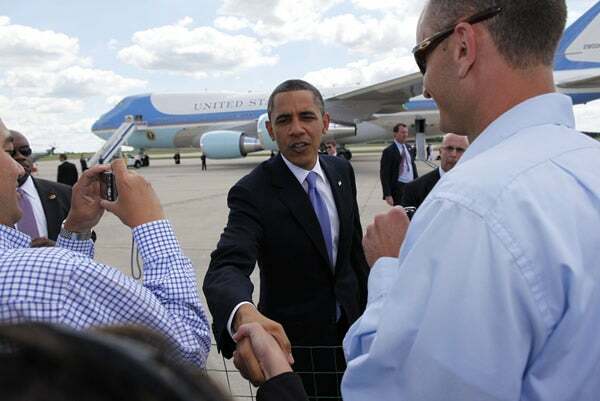 President Barack Obama visited a federally funded advanced battery plant in Holland, Michigan, today to tout the success of his green jobs initiative. But there’s another highly touted green company in Michigan that the President didn’t visit—and with good reason. In September of 2009, Fisher Coachworks was mentioned in a press release from Gov. Jennifer Granholm as a “green technology” company that was part of the “new energy economy for Michigan.” Two years later, the state says Fisher Coachworks is out of business and the state has to write off $1.6 million it loaned the electric bus manufacturing company. It turns out that the company failed to meet two performance “milestones” as part of its $2.6 million total loan agreement with the state—and without government funding, the company couldn’t survive. Fisher Coachworks isn’t the only green company that has struggled to make ends meet amid Obama’s green initiative. In testimony before Congress, Heritage’s David Kreutzer cited four examples of companies that received millions in federal loan guarantees for clean energy projects—three of which ultimately struggled to secure private financing. Why? They weren’t commercially viable. When the savings of new, more energy-efficient technologies exceed the costs of adopting those technologies, markets have the incentive to adopt them. But it is the voluntary participants in these market transactions that best know the full spectrum of the costs and benefits that matter most to them. While engineers, accountants, technicians, and others might help to inform consumers and producers, no number of green eyeshades, calculators, and lab equipment can substitute for a consumer’s or firm owner’s own determination of value. In other words, Kreutzer says, policies mandating energy technologies that markets resist will only serve to dry up national income while slowing economic growth that generates good, viable jobs. What also made this possible are the actions that we took together, as a nation, through our government. The fact that we were willing to invest in the research and technology that holds so much promise for jobs and growth. The fact that we worked together to create the environment like this where green businesses can prosper. That sure sounds good, if only it were true.